The Shop Manager will lead the team to maximise the shop(s) financial contribution to BSWA by effective and entrepreneurial management and be responsible for the effective operation of the shop(s). This role will be based in Solihull with occasional travel to Birmingham. 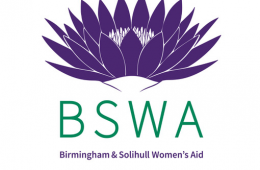 If you are interested please download a recruitment pack from www.bswaid.org and return completed forms to: Birmingham & Solihull Women’s Aid, Central Administration, Ryland House, 44-48 Bristol Street, Birmingham, B5 7AA or email to recruitment@bswaid.org. This post is subject to a 6% pension contribution. Women only need apply. These posts are covered by a Genuine Occupational Requirement (Schedule 9; Equality Act 2010).